Conveniently located—right on the beach and seconds from the main street. Very comfortable and clean. Nice area, there was no traffic noice since the apartments are on a side street. It is very close to the ocean and the house keeper was great! Lovely, clean accommodation. We came before the season started so there were many businesseses not open yet, the beach was waiting to be cleared up after the winter storms and the weather was rubbish, rain and not particularly warm. But every Cretian I met was friendly and welcoming. It is a place I would love to visit again, but possibly 2 weeks later in the year. Overall, Ermis is clean,welcoming and good value for money . The area is lovely, the locals very friendly. But the 2nd of April too early. My stay was excellent my room was cleaned everyday.Lovely crisp white sheets and towels.It was very private and peaceful. Excellent location right on the beach.Very beautiful family run hotel. And the plants were amazing.I would 100% recommend a stay here. The location was excellent, lovely sea view nice relaxing place. Good value for the money! 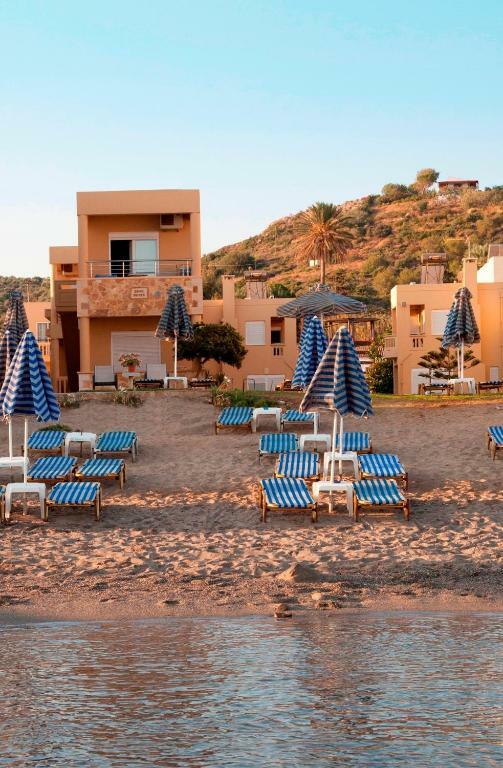 We think that the hotel have a perfect location just on the "border" between Agia Marina and Platanias with many choises of restaurants and shops near by. The bus stop and taxi is Close by and the hotel is locatet at the Beach. Quiet and peaceful Place With friendly and helpful staff/Family! This is Our Third time at this hotel! The staff were very friendly and helpful. The cleanliness was exceptional. The location was excellent. I would recommend going just outside the season. The weather was generally very good but very few other apartments or hotels were open and so we often had the beautiful beach to ourselves. Set back from the road so quiet. easy to walk into Ag. 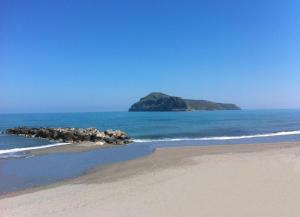 Marina or Platanias. short walk to the bus stop and plenty of supermarkets, restaurants etc... superior cleanliness. It was an amazing time ! The rooms are very comfortable and clean ( thanks to the staff ! you're very nice !!! ) The beach is very close - about 100m. We're very happy that we choose that place for our vacation. Really attractive apartments in a beautiful setting, close to the beach. Also free use of the swimming pool at the hotel, next door. 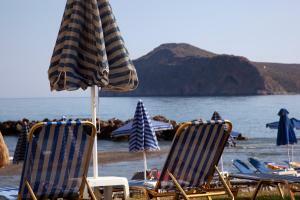 Lock in a great price for Ermis Suites – rated 8.9 by recent guests! 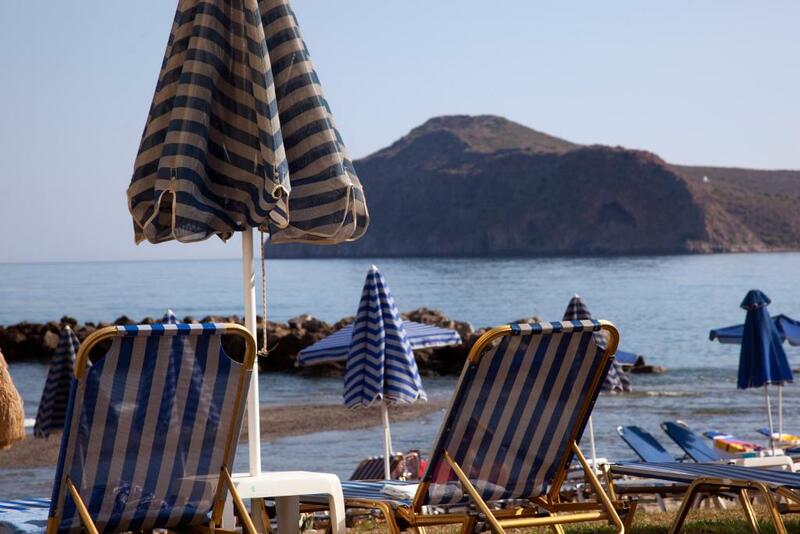 One of our top picks in Platanias.Located right on Platanias Beach, the family-run Ermis Suites offer self-catering accommodations opening to a balcony and a patio. Free WiFi access is available in all areas. Platanias Square is 1,950 feet away and . All air-conditioned studios and apartments at Ermis Suites feature a sofa and a kitchen or kitchenette with a dining area and mini fridge. The private bathrooms also come with a bath or shower and a hairdryer. Chania Town, with its scenic Venetian harbor, is at a distance of 6.2 mi. Ioannis Daskalogiannis International Airport is located 12 mi from the accommodations. When would you like to stay at Ermis Suites? Featuring a kitchenette with fridge and stove, this air-conditioned studio opens out to a balcony or patio. Consisting of 2 separate bedrooms and a kitchenette with fridge and stove, this air-conditioned apartment opens to a balcony or patio. Two-bedroom villa with a kitchen and a living room. Featuring air conditioning and a fridge, the unit opens to a balcony and a patio. This studio has a balcony with sea view and is located about 33 feet from the beach. It has a kitchenette, and a bathroom with shower. This studio features a dining area, kitchenware and sofa. House Rules Ermis Suites takes special requests – add in the next step! 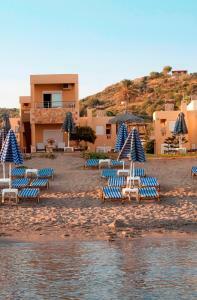 Ermis Suites accepts these cards and reserves the right to temporarily hold an amount prior to arrival. Please let Ermis Suites know your expected arrival time in advance. You can use the Special Requests box when booking or contact the property. No A/C on ground floor. Beds could be better. Many places to buy food, nearby. Clean. Small TV and it was in the bedroom. Wanted to watch the football game. The offered swimming pool in the next door facility was unavailable because the season had not quite started and that facility was not open. This did not matter. The sea was only a few yards away and always open! more electric sockets in the kitchen - had to unplug the hotplate if you wanted to use the kettle.